Welcome to the November 2014 edition of the Nuala Woulfe Beauty Salon/ Serenity Day Spa Newsletter. For any enquiries or to make a booking, please contact us at 01-2300255/01-2300244 or reception@serenityspa.ie. Wishing you lots of health & happiness. 1 - Enjoy a Winter Revival facial or a Winter Revival massage customised to suit your needs with Holly our new Therapist at Serenity Day Spa for €70 each for a limited period of time. You will really enjoy the experience. 2 - Enjoy a Manicure and Pedicure Combo with Ivett at Serenity Day Spa - 80 min €80. *Add paraffin wax on to any treatment €10. 3 - Enjoy a hydrotherapy bath and a custom massage for € 100 until December 10th. 4 - Hydrotherapy bath followed by an Organic Eminence Blueberry Bliss Slimming and Herbal Cellulite Wrap for €105. Click here for full details about this offer. Click here for more information about hydrotherapy. Call reception on 01-2300255/01-2300244 to book now. We have recently received some really fantastic products to add to list of Eminence Organic skincare. They continue to raise the bar to improve the results we can expect from them. Click here for more details. 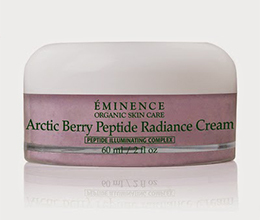 Introducing our new Arctic Berry Illuminating peel from Eminence suitable for all skin types Book a series of 5 Eminence Arctic Berry illuminating peel and receive the 6th peel for free along with a free Arctic Berry Peel and Peptide Illuminating System for home care use while stocks last. Awaken your skin’s inner beauty with the new Arctic Berry Multi-Acid Peptide Peel! This innovative 3-step peel and peptide system will give your skin a completely fresh start! Organic Enzymes derived from papaya as well a blend of ground cherry bark, diatomaceous clay and sodium bicarbonate break down cells on the surface of the skin facilitating better penetration of the multi-acid peel. For the first time, Eminence Organic Skin Care is incorporating flower acids in addition to a blend of five alpha hydroxyl acids proven to restore clearer, smoother more even skin! The big finish lies within the Arctic Berry Peptide Radiance treatment, featuring hibiscus seed botanical peptides, yellow plum and gardenia stem cells. This Eminence exclusive Complex is formulated to target collagen loss, dehydration and inflammation in all skin types. Reduce hyper pigmentation and inflammation, fight fine lines and wrinkles, sooth sensitive skin types and improve elasticity and skin tone for a younger-looking appearance today! (Best results seen when performed in a series). Click here here for more details. 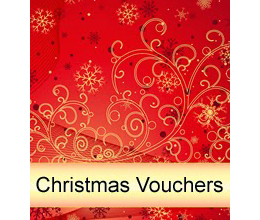 Mega Gift voucher Sale back by popular demand! For one day only on Sunday 7th December 2014 at 10a.m. First come first served! When they're gone they're gone! Limited number, so be early to avoid disappointed. Click here for full details about our Mega Gift voucher Sale. Irish owned Max Benjamin, is run by two brothers Mark and David Van den Bergh. Named after their nephews, Max and Ben, who are the sons of their sister Orla (founder of the company), they have been producing high quality candles since the early 1990's. 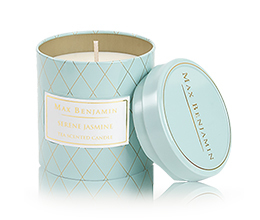 A selection of Max Benjamin candles and soaps are now available to buy in the Salon and Day Spa. 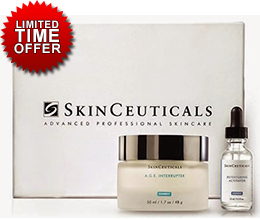 We have two great offers on Skinceutical skincare. 1 - Buy an AGE moisturiser and receive a free 15 ml retexturing serum. 2 - Buy a Hydrating B5 mask and receive a free 15ml hydrating B5 serum (the mask has double the levels of Hyaluronic Acid which is like a great drink of water for your skin – leaving the skin deeply hydrated and fresh).